Historical Weekend Happenings: 10/19/13 - 10/20/13 ~ The History Girl! On Friday, Saturday, and Sunday evenings at 7:00 pm, enjoy a special benefit performance by the Hudson Shakespeare Company of Shakespeare's lamentable tragedy "Titus Andronicus" at and for The Historic Jersey City and Harsimus Cemetery, located at 435 Newark Avenue, Jersey City, NJ. Dress warm for the show! Seating is limited so feel free to bring a comfy lawn chair or blanket! Suggested donation of $10 per adult and $5 for children/seniors at entrance gate. Immediately after, stay for a 10:00 pm Ghosts and Legends Tour, including the mysterious underground crypts and bunker (separate $10 donation requested). For more information, call 201-707-0738 or visit www.jerseycitycemetery.org. On Friday and Saturday October 18, 19 and 25, 26 please join local author Bill Meehan as regales us with ghost stories and legends from his popular paperback, Haunted Haddonfield. The tour begins at 7:00 pm at Greenfield Hall (343 Kings Highway East, Haddonfield, NJ) and winds past the cemetery and familiar houses along the way. The tour lasts about 90 minutes and can be enjoyed by everyone - couples, groups, and families! Adults are $10 and children (3-12) are $5. Tickets can be purchased at the door (cash only) or ahead of time at Greenfield Hall, the public library, or the Haddonfield Visitor Center. There are no rain dates but tickets can be used on any of the tour dates. Please remember to wear comfortable shoes, bring a flashlight and wear somewhat reflective clothing as a safety precaution. On Saturday, the Tuckerton Historical Society presents "Tuckerton and Tuckerton Wireless" presented by Pete Stemmer and John Yates. Come hear about the most powerful transatlantic transmitter in America. This presentation will be held from 2:00 - 4:00 pm at the Giffordtown Schoolhouse Museum, 35 Leitz Blvd., Little Egg Harbor, NJ. For more information, call 609-294-1547. 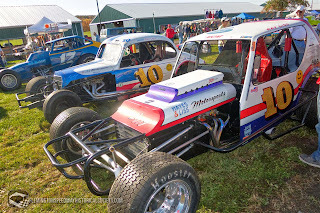 The Flemington Speedway Historical Society's 3rd Annual Car Show takes place on Saturday from 9:00 am - 3:00 pm at South County Park on Route 179 South, Lambertville, New Jersey. The home of the Hunterdon County 4-H and Agricultural Fair, it is near the Ringoes, New Jersey intersection of Routes 202 and 179. The 2012 show featured over 500 show cars and dozens of flea market vendors. 2013 preregistration predicts a much larger event, again featuring antique race cars, modern race cars, all types of show cars, trucks, motorcycles, military vehicles, tractors, and farm equipment. There will be live entertainment on the Main Stage and various types of refreshments. "Family Fun!" is on tap for children of all ages in Building 1. Building 2 is home for the Flemington Speedway Historical Society's display and the Awards Ceremony. "Tailgate Games" will be played in Building 3. Fifteen People’s Choice and five FSHS Special Recognition awards have been etched in glass. Event t-shirts, posters, and sweatshirts have been printed in limited quantities. Spectator admission is $5 per person or $10 per carload. Parking is free. Show car registration is $10. Vendor registration is $25. For more information, visit flemingtonspeedwayhistoricalsociety.com. On Saturday from 10:00 am - 5:00 pm and Sunday from 12:00 noon - 5:00 pm, the Caldwell Parsonage, located at 909 Caldwell Avenue, Union, NJ, will serve as one of the historic sites participating in Union County's annual Four Centuries in a Weekend. 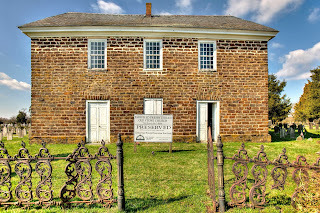 The museum is maintained by the Union Township Historical Society, a non-profit organization, and is a part of the Crossroads of the Revolution National Heritage Area. Scenes commemorating the upcoming 350th anniversary of Elizabethtown and New Jersey will be performed. Docents will offer on-going tours of the 18th century house and barn, including new exhibits in both buildings; souvenirs and refreshments will be available. Admission is free. For more information, please call Barbara La Mort at 908-687-0048. On Saturday even from 6:45 - 7:45 pm and again, from 8:00 - 9:00 pm, NJ Paranormal will present the results of its investigation conducted in the Parsonage and barn on July 13. To purchase tickets, $10 each, please call 908-591-9161. Leave a message-including your phone number-and your call will be returned promptly. *conduct mock evp (electronic voice phenomena) sessions, during which visitors may use their own recording devices or record the sessions on their phones. For more information, visit www.unionhistory.org and www.uniontwphistoricalsociety.webs.com. Morven Museum & Garden is seeking examples of samplers and silk embroideries made in New Jersey or by New Jersey girls before 1860 for possible inclusion in its landmark exhibition, "Hail Specimen of Female Art! New Jersey School girl Needlework, 1726 - 1860," opening in October 2014. If you think you may have a sampler or silk embroidery that falls into this category we'd be interested to hear from you! Live in the area? Bring your historic needlework to Morven for a Sampler Discovery Day between 12:00 noon and 4:00 pm. Can't make the date or live too far away? Please send the museum photos and any documentation you have about your New Jersey needlework made before 1860. Send to Elizabeth Allan, Curator of Collections & Exhibitions at eallan@morven.org. All information should be received before October 19, 2013 and will be kept for future research. Morven Museum & Garden is located at 55 Stockton Street, Princeton, NJ. For more information, visit www.morven.org. Somers Point will honor local Barbary War hero Richard Somers on Saturday beginning at 10:00 am with a full-fledged parade along Shore Road in Somers Point. Many units not previously in their parades will participate. Following the parade at 11:00 am, a dedication ceremony will take place at 801 Shore Road, the newly named Richard Somers Memorial Park. Guest speakers will recount the story of Somers' heroism against the Barbary pirates as part of the unveiling ceremony. A commemorative coin and Intrepid t-shirts will be available following the ceremony as well as a book signing by author Chipp Reid of Intrepid Sailors. For more information call 609-927-2900 or visit www.somerspointhistory.org. On Saturday at 1:00 pm, a Peggy Norris, Bergen County Historical Society Trustee, will share her research on the Zabriskie-Hopper Burial Ground in Paramus at the Steuben House and discuss the people buried there, how the graves were marked, and what we can all do to preserve family cemeteries. Examples from other Bergen County cemeteries will be used to highlight the unique features of this burying ground and the changing fashions in commemorating the dead. At 2:00 pm, join Kevin Wright on a walking tour from Historic New Bridge Landing to the French Cemetery in New Milford, (one mile each way). Visit http://www.bergencountyhistory.org/Pages/Cemetery.html to see more information about the French Burying Ground. The cemetery is located behind New Milford Boro Hall, 930 River Road, New Milford, NJ. Turn onto Patrolman Ray Woods Drive. The gate to the cemetery is normally locked. Many residents from New Bridge are buried here including John J. Zabriskie who lived at the Steuben House. Admission to the programs are $7 adult, $5 children, BCHS members free. Historic New Bridge Landing is located at 1201 Main Street, River Edge, NJ. For more information, call 201-343-9492 or visit www.bergencountyhistory.org. It's a full day of activities for all ages at the New Jersey State Museum on Saturday from 10:00 am - 4:30 pm! Older kids and adults can experience tours of the New Jersey's "Original People" exhibit, curatorial talks focused on archaeology in New Jersey, and a film about archaeology. Kids of all ages can participate in a pottery "reconstruction" activity, a scavenger hunt, and a sandbox archaeology program. Everyone will enjoy speaking with experts at a prehistoric artifact identification table. It's the spookiest time of the year at the village! Celebrate all things Halloween and autumn at the 22nd Annual Pumpkin Festival. This fun, free event will take place on the grounds of Historic Cold Spring Village on Saturday from 10:00 am - 4:30 pm (Rain date: Sunday, October 20) and is presented by the Lower Township Rotary Club. Admission is free; guests are encouraged to donate non-perishable goods to the 'Share the Harvest' Food Drive. throughout the day. A variety of crafters will sell their wares along the Village’s shell-paved lanes. Vendors will be selling hot dogs, funnel cake, and other snacks. Visit the Boy Scout Troop 87 haunted house at the Village Barn and hop on a fall hayride through the farm. Don't miss the Children's Halloween Parade at 12:00 noon. Please call the Lower Township Recreation Department at 609-886-7880 for parade registration information. As clerk to the secretary of the 2nd Continental Congress, Timothy Matlack penned the official version of the Declaration of Independence on display in the National Archives. Although known for his neat penmanship, Matlack was also a political leader in America’s Revolution including being at the trial of Benedict Arnold and serving as a colonel during the war. The Indian King will be hosting reenactor Bob Gleason portraying the colorful leader, who was born in Haddonfield, NJ, on Saturday at 2:00 pm. Admission is free but seating is limited. The Indian King Tavern is located at 233 Kings Highway East, Haddonfield, NJ. For more information, call 856-429-6792 or visit www.indiankingfriends.org. Please join Plainfield Public Library's Local History Department in October to celebrate American Archives Month! On Saturday, attend an African-American Genealogist Panel from 10:00 am - 12:00 noon. This panel discussion will feature speakers from the New Jersey Chapter of the Afro-American Historical and Genealogical Society (AAHGS). Topics include DNA research and personal experiences in genealogical research. Howell Farm quilters invite the public to join them on Saturday for a quilting bee, quilt display, demonstrations, and other old fashioned fun from 10:00 am - 4:00 pm. Throughout the day, visitors of all ages can experience the stages of quilt making from piecing scrap fabric on a treadle-type sewing machine to joining the Farm staff around an antique quilt frame. In this process experienced quilters from Mercer County will share techniques in hand quilting with all visitors who join them at the quilting bee. A special children’s "scavenger hunt" on the farm for the sources of traditional quilt names will be ongoing from 1:00 - 3:30 pm and will include farm chores, rail-fence making, and visits to the blacksmith. Also for children, is a craft program, "Quilted Picture", ongoing from 11:00 am - 3:00 pm; cost $3. Groups of 8 or more must pre-register. The tours will take place at Chestnut Hill Cemetery on Old Bridge Turnpike between 5:30 and 8:00 pm. Admission fees for this special event are $8 for adults and $2.00 for children under 12 years of age. Free parking. It is recommended that you bring your own flashlight. Since this event takes place in a hilly cemetery, it is not recommended for persons with walking problems or for strollers. This is a family-friendly event and children are encouraged. For more information, call 732-257-1508 or visit www.eastbrunswickmuseum.org. New Jersey Lighthouses, museums and life saving stations will host a "Lighthouse Challenge of New Jersey" weekend on Saturday and Sunday. The public is invited (and challenged) to visit all participating lighthouses over the weekend and help raise funds for continued lighthouse preservation. The lighthouses participating in the Challenge encourage the public to take advantage of this special weekend to financially support and preserve the maritime history of our state. Begin the Challenge at any of the participating lighthouses. Hours of operation for every participating lighthouse can be found at www.lighthousechallengenj.org. 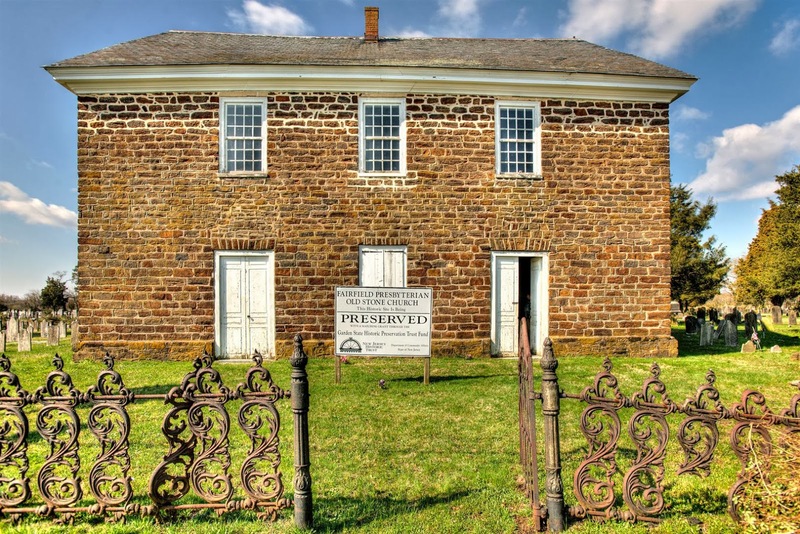 Liberty Hall Museum of Union will have on view "Ring for Service: The Role of Servants in a Country House," a special exhibit about the role of slaves and servants at Liberty Hall from the time of Governor William Livingston. Historic Cannon Ball House in Springfield will feature a Civil War Encampment on Saturday; Revolutionary War reenactors on Sunday, and relics of the 1780 Battle of Springfield. The Oswald J. Nitschke House, operated by the Kenilworth Historical Society, will celebrate the 100th Anniversary of the town's Volunteer Fire Department with a display of photos chronicling the history of Kenilworth. Crane-Phillips House Museum in Cranford will present "Clean as a Whistle," an exhibit about the beginnings of healthy living and sanitation including early indoor plumbing, the Civil War Sanitary Commission, and Cranford's role in the first Federal Food and Drug Act. Reeve History & Cultural Resource Center in Westfield celebrates the restoration of the 1870s Victorian Italianate home, and exhibits work by famed local artists John Brunner, Harry Devlin and Sigmund Ivanowski. Children can earn a Time Traveler's Certificate and a Four Centuries Patch by visiting and obtaining a Time Traveler Passport at any of the sites, having it stamped and returning the completed form to the Union County Office of Cultural and Heritage Affairs. For free copies of the Four Centuries in a Weekend tour booklet, map and further information visit http://ucnj.org/community/community-renewal/cultural-and-heritage-affairs/four-centuries. On Saturday and Sunday, visit Historic Longstreet Farm in Holmdel to take a step back in time to harvest feed corn. Stop by to gain an understanding of the process involved in harvesting corn. This free event runs from 12:00 noon - 2:00 pm both days, weather permitting. Historic Longstreet Farm is located at 44 Longstreet Road, Holmdel, NJ. For more information, call 732-946-3758 or visit www.monmouthcountyparks.com. The Matawan Historical Society in conjunction with Rose Hill Cemetery is sponsoring its third annual guided walking tour of Rose Hill Cemetery in Matawan, including new stories! Local Historian Al Savolaine will lead the tours, sharing fascinating stories about those buried in the cemetery, including the victims of the Great Matawan fire of 1901, the 1916 shark attack in Matawan, as well as some unusual ghost sightings at the cemetery, considered to be one of the most haunted sites in New Jersey. Tours will be held on Saturday at 10:00 am and Sunday at 2:00 pm. Tours are approximately two hours long. Tickets are $10 per adult, with proceeds benefitting the Burrowes Mansion in Matawan and the beautification of Rose Hill Cemetery. Rose Hill Cemetery is located on Ravine Drive in Matawan. Park will be available at the cemetery and at the school lot across the street. Tickets can be purchased the day of the tour or by contacting savolaine@hotmail.com. The committee has invited over 100 exhibitors to participate in this quality day-long event. Visitors will have an opportunity to see and purchase a variety of country, Colonial and Victorian crafts. They will also be able to meet talented crafters demonstrating their artistry in a wide assortment of materials. Pre-World War II cars will be on display. Old-time steam engines, antiques, and pony rides will help make this an event of special interest to people of all ages. The Renegade Cloggers will again perform during the day. Several quilting groups will be raffling their handmade quilts. Local service organizations will sell a variety of foods and drinks. Various 4-H groups will be available. They will display their animals and discuss their experiences as a member of a 4-H club. In addition, the 1808 Pinelands (Batsto-Pleasant Mills) United Methodist Church will be open to visitors from 11:00 am until 4:00 pm. Members of the congregation will be available to talk about the history of their church and the programs that they offer. Batsto is located in the Pinelands of Burlington County, South Jersey approximately 7 miles east of Hammonton on Route 542 and about 15 miles west of Exit 50 on the Garden State Parkway. Further information may be obtained by calling the Batsto Visitor Center at 609-561-0024 or visit www.batstovillage.org. Visit beautifully restored homes that serve as a model for preservation and soak in the ambiance of the 18th, 19th and early 20th centuries. Now in its third decade, the Lambertville Historical Society's Autumn House Tour is a celebrated annual event for fans of history, architecture, interior design-and Lambertville itself! 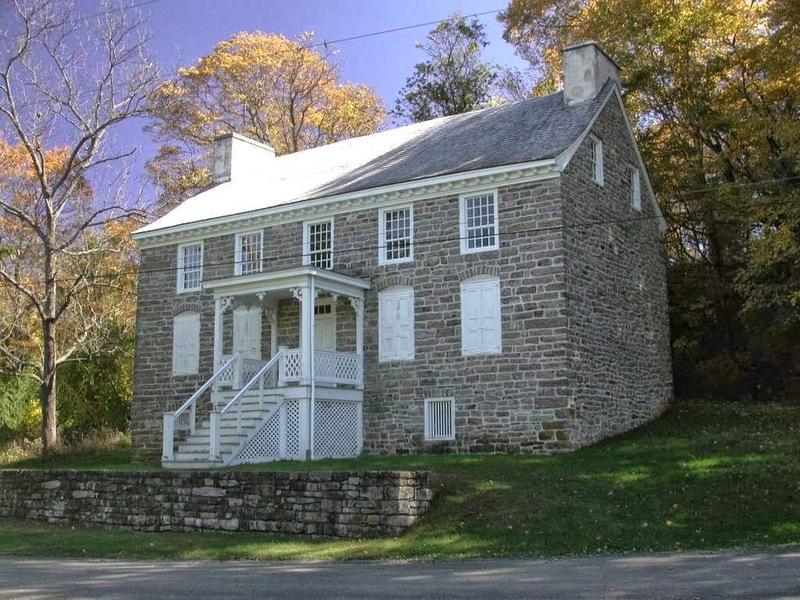 The tour includes the Holcombe-Jimison Farmsted, the oldest home in Hunterdon County. The tour is self-guided and this year will be on Sunday from 11:00 am - 5:00 pm. Tickets are $20 in advance ($25 on the day of the tour) and may be purchased online at www.lambertvillehistoricalsociety.org and through Eventbrite, www.lambertvillehousetour.eventbrite.com. Tickets may also be purchased at the Marshall House, 60 Bridge Street (weekends 1:00 - 4:00 pm) or directly from some local merchants (Blue Raccoon, City Market, Homestead Farm Market, Lambertville Trading Company, River Queen Artisans Gallery, Phillips' Fine Wines in Stockton and Farley's Bookshop in New Hope). The event is held rain or shine. Free parking and shuttle bus service will be available on the day of the tour. The bus will continuously loop from the Holcombe-Jimison Farmstead on Route 29, just north of the city limits to Lambertville City Hall every 30 minutes from 10:30 am - 5:25 pm. Visitors can also park in residential areas or at parking meters that are in effect on Sunday from 1:00- 9:00 p.m. For more information, contact the Society at 609-397-0770 or e-mail lhs1816@verizon.net. On Sunday, the Ocean Township Historical Museum will hold its fifth annual History Ghost Walk, this year featuring the characters from its exhibit, "Asbury Park: The History of a Jersey Gem." It is a ghost walk designed to delight, not fright--and well, yes, to share some history, too. 1) Outside, guests are guided along the path east of the Woolley House to meet and interact with the talented young actors who bring the spirits of Asbury back to life. You never know for sure who will turn up - we are dealing with the other side, after all. But as we go to press, we have reason to expect the likes of James Bradley (Asbury's founder), Arthur Pryor (Asbury's "Music Man"), Lorenzo Harris, Sr. (Asbury's gifted "Sand Man" artist and civil rights leader), Barbara Samaha (lingerie peddler who opened Dainty Apparel and became the city's leading woman business owner), Agnes Frick (an usherette at the Mayfair), and more! 2) Inside the library's Terner Gallery, guests enjoy performances from Asbury's Victorian, jazz, and pop eras. Here they are hosted by the spirit of Evelyne Kane, a member of Queen Titania's court in the 1924 Baby Parade. Guests sing along with turn-of-the century tunes, swing to numbers from the '30s and '40s, and meet "our own" Connie Francis. On Sunday from 12:00 noon - 5:00 pm, the National Park Service and the Walpack Historical Society will present Van Campen Day at the Van Campen Inn. The day will include costumed reenactors and colonial crafts such as spinning, woodworking, blacksmithing, chair caning, lacemaking, and apple pressing for cider. A parade led by the Colonial Musketeers Fife & Drum Corps of Hackettstown will march north on the Old Mine Road at 12:30 pm to the marker memorializing John Rosenkrans, Colonel of the Sussex County Militia during the fight for independence. There, Gerald De Groat of the Sons of the American Revolution, Colonel John Rosenkrans Chapter, will speak on the life of Walpack's local hero. Myra Snook, historian, will lead a hike at 1:30 pm to the site of Fort John and to the Shapanack and Slave cemeteries. Costumed guides will provide tours of the inn throughout the day. The inn boasts some of the finest woodwork and hardware of its period and is believed to have been built in the 1740s. A highlight of the day will be a special presentation of a replica of the fireback that is believed to be original to the inn. A fireback is a heavy cast iron plate installed at the back of a fireplace wall. It protects the back wall from deterioration caused by intense heat. It also reflects heat into a room, continuing to radiate heat even after the fire goes out. The year of casting of the original fireback was 1746; 1746 may also be the year when part of the inn was built. The fireback is also a very decorative piece. It shows the coat of arms of the royal family of England, including the lion and the unicorn rampant. The original fireback was cast at Oxford Furnace, Warren County, NJ and is one of the oldest dated firebacks manufactured there. It was donated to the National Park Service by Bernice and Joseph Haydu in September 1972. The fireback was conserved by the National Park Service in 1987, sent to Harpers Ferry Center for stabilization. It was put in a frame at that time and cleaned and waxed. The exact replica to be installed by National Park Service on Van Campen Day was cast by the Wollaston Foundry of Taunton, MA. The National Park Service made the decision to retire the original fireback to its storage facility several years ago, due to concerns for its safety. In the approximately 250 years it was at the Van Campen Inn, the fireback witnessed visits by John Stark, hero of the battle of Bunker Hill, Benedict Arnold, traitor, and Count Casimir Pulaski and his legion of men, who spent most of the winter of 1778 at the inn. The Van Campen Inn is located on the unpaved section of Old Mine Road, Walpack Township, NJ within the Delaware Water Gap National Recreation Area. Van Campen Day is free and the public is invited. For more information, call 973-948-4903. "Hello London, Mercer is Calling"
On Sunday at 2:00 pm, the Lawrence Historical Society presents Dennis Waters and an updated version of his lecture, "Hello London, Mercer is Calling," complete with new pictures and information about the AT&T Pole Farm. Stop by and learn more about the area now known as Mercer Meadows. Refreshments will be served. The program will be held at the library, 245 Pennington-Titusville Road in Pennington, NJ. For more information, call 609-895-1728 or visit www.thelhs.org. Andover Borough has a very fascinating and interesting historical past. The Andover Museum's historical displays will be changed regularly throughout the year in order to highlight and showcase some of the prominent residents, important events, and significant properties and buildings of the area. In addition to the historic displays, the society also has a nice collection of gift items for sale, including the Andover Borough Afghan, glass ornaments, and note cards, all depicting scenes and buildings of this historic town. This month's exhibit will feature school and harvesting. Take time to celebrate the "bounty of the harvest" on Sunday from 1:00 to 4:00 pm at the Hopper-Goetschius House Museum's Annual Harvest Festival. The event is free to members; $3.00 per person for non-members. Young persons age 16 and under are free. Enjoy a variety of activities for children and adults. A petting zoo with goats and lambs, donkeys, ducks, chickens, and bunnies, as well as pony rides will be in perfect company with demonstrations of colonial crafts - spinning, chair caning, quilting, bobbin lacemaking, crocheting, and rug braiding. Watch the cider pressing in the old Dutch barn and enjoy a taste of fresh cider. Taste one of yesteryear's recipes cooked over the open-hearth fire in the out kitchen. Come for lunch. There will be delicious grilled hot dogs and soda to purchase. Did you know that the gypsies used to camp in this area? This year be sure to visit our fortune teller and find out what your future holds. There will be old-fashioned games and activities for children and a special area featuring antiques and crafts. Enjoy a great day for Halloween Celebrations at the "Not So Scary Halloween Party" at the DAR Elias Van Bunschooten Museum, 1097 Rt. 23, Wantage, New Jersey on Sunday at 1:00 pm. Rain date is Sunday, October 27. Admission is $5 per Child (no charge for adults). Pumpkins, hay maze, fun activities, games, prizes, a haunted barn for kids that like a little spook, a costume contest, food for sale, and much more! This event is even suited for young children. For recommended advanced registration (Family name, number of kids and ages) or more information, please call 973-948-5299. The Chinkchewunska Chapter of the DAR preserves and restores the house and outbuildings on our property as a living reminder of Sussex County history from the late 1700s to the present. They open their doors mid-May through mid-October for tours on Thursdays and Saturdays in addition to school and group tours by appointment, and host special events throughout the year. Come out for a day on the farm with the Lower Alloways Creek Historical Museum from 1:00 - 4:00 pm! There will be antique tractors and farm equipment on display. Learn about sausage and butter making. The Lower Alloways Creek Historical Museum is located at 736 Smick Road, Canton, 08079. For more information, visit www.lowerallowayscreek-nj.gov. The Old Stone Church in Fairfield Township (just south of Bridgeton) that was built in 1780 and abandoned in the mid-nineteenth century, will be in use this Sunday! Never electrified, no plumbing or heating - and not used at all for 150 years - but surviving thanks to the Cumberland County Historical Society, local caretaker Bob Francois, and a slate roof installed in the 1880s, the church will be the location of a special Colonial church service at 3:00 pm on Sunday. The afternoon's activities is a joint undertaking of the Presbyterian churches in Fairton, Bridgeton, and Greenwich, and is open to the public. The church is located at Route #553 and New England Crossroad, Fairfield Township, NJ. For more information, visit www.fairfieldpca.org. Currently on display at Macculloch Hall Historical Museum is an exhibition about topics that helped shape our world. "Controversies: The More Things Change..." opens new territory for the Museum, presenting challenging subject matter that may not be suitable for casual dinner conversation. This new exhibit explores topics that helped shape our world through local history events which had national significance:medical experimentation, immigration, and the right to die.